Introducing your child to nature is one of the best learning experiences you can provide them at an early age. Now, you must be thinking – how can you hike with a baby? But today, it’s extremely easy to have an outing with the whole family, including the little one. To hike safely with your baby, you need to find the best baby carriers for hiking as per your needs. A hiking carrier is a backpack style carrier that provides safe hiking along with a baby. A baby carrier provides protection, comfort, and carrying ease for the parent and child. It can be worn on the back or on the front depending on your comfort. In this article, we have listed some of the top selling baby carriers for hiking. The Boba 4G carrier is ideal for kids weighing 7-45 lbs. It is designed to go and grow with you. This baby carrier is ideal for both babies and toddlers and will take care of your child from infancy to when it’s a toddler. This baby carrier offers both front and back carrying options with maximum convenience and comfort for both the parent and the child. The material is 100% pure cotton and free from harmful dyes. The Boba 4G carrier comes with some amazing features that include a removable sleeping hood, foot straps, an integrated infant insert, convenient pockets, and multiple adjustments. Boba 4G carrier is a perfect fit for the entire family because of its ergonomic design and multiple adjustment options provided. It is one of the best baby hiking carriers. The LILLE baby complete airflow baby carrier is widely acknowledged as a Hip and Healthy carrier and is safe for the baby’s hips. It is a comfortable, lightweight carrier that offers 6 ergonomic positions along with lumbar support. It is made of 100% cotton and breathable mesh that allows maximum air circulation. Moreover, it offers versatile carrying options, an extendable torso, a removable sleeping hood and a large zippered storage pocket that provides maximum support and comfort to the parent and the child. The adjustable side panels widen and narrow the seat according to the child’s comfort and style while hiking. It is one of the best baby hiking backpacks that keeps the baby close to their parents while building a natural bond in style and comfort. The best thing about this product is the generous padding and incomparable quality that makes it stand out from all the available products. The Cross-country backpack carrier is made of 600d oxford cloth with a strong but lightweight metal frame. It is suitable for daily use. This backpack carrier is ideal for children of ages between 6 months to 4 years. The Green Clevr backpack carrier offers a retractable canopy that protects the child from rain and sun and upgraded foot straps that offer more support. It possesses multiple pockets – including an extra-large pocket for necessities and diapers along with 2 water bottle pockets. This backpack carrier offers thickly padded shoulder pads, a reflective safety strip, and a padded waist strap. The best thing about this baby carrier hiking is the easy adjustment features that provide a comfortable fit for the parent and the child. This 360 Ergonomic baby carrier is an easy-to-use, adjustable all season carrier for the baby. It comes along with an adjustable temperature-regulation panel that controls the temperature and keeps the parent and the baby warm or cool depending on the season. It offers 6 ergonomic positions that include front-newborn, front-infant, front-toddler, front facing out, back and hip. It possesses a wide and sturdy waist belt, an extra-padded crossable shoulder strap, and lumbar support that alleviates pressure on your shoulder and back, preventing lower back strain. The best thing about this baby carrier is that it offers everything you need. It has many more additional features compared to other baby carriers. Moreover, it is free from health-hazardous substances and is completely safe for the child. THe Luvdbaby premium backpack carrier will let your child ride in style. It provides comfort for both the parent and the child. It offers a lot of pockets to store stuff that a baby would require during hiking. This backpack carrier offers a safe and comfortable ride for the child. It has a removable mesh hood that protects the baby from the sun’s glare. 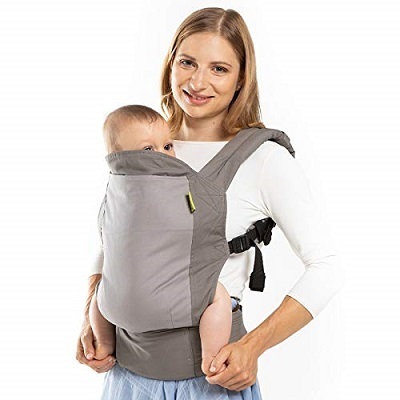 Luvdbaby carrier is height adjustable, which protects your back while you carry the child. It offers multiple mesh pockets on the outer surfaces, a large pocket on the back, an insulated pocket for the bottle along with waist belt pockets for the keys and phones. 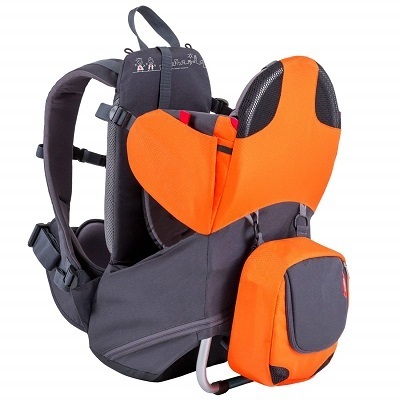 This Luvdbaby backpack carrier will take you and your child on an adventurous path with full safety and comfort. Moreover, this carrier offers a thermal insulated zipper pocket to keep baby bottles and food warm for a certain amount of time. The Baby steps baby carrier is a safe and fashionable baby carrier and is best for the little one. It is ergonomic and user-friendly and offers 6 different carrying positions. 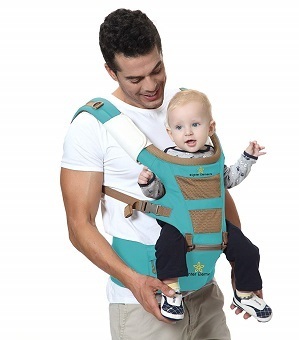 This baby carrier is the best to carry an infant or toddler in any position as per your needs. 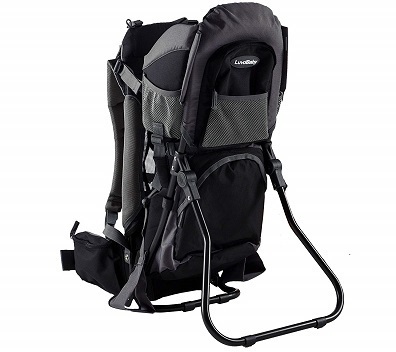 It offers 6 different positions such as front outward, front inward, single strap carrier, back carry, and his seat. It is suitable for all shapes and sizes. It is made up of soft polyester fabric and organic cotton that is suitable for all seasons. The best thing about this hiking toddler carrier is that it is made up of soft material that makes it breathable and suitable for all types of seasons. 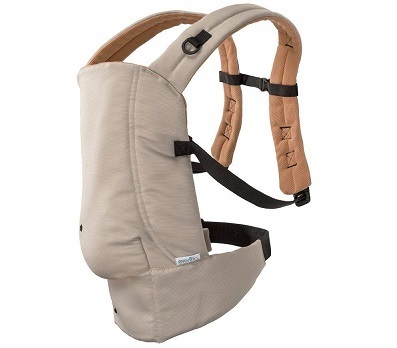 The Evenflo natural fit soft carrier offers hands-free portability while bonding with the baby. It offers different carrying positions for the growing baby. This carrier is made up of polyester/cotton fabric which is breathable and easy to clean. This baby carrier can be worn on the front, back or on the hip with baby always facing in. It offers adjustable back straps for optimal comfort and style. The lumbar support and the tailored shoulder straps help distribute weight and provides comfort to the parent. The ergonomic seated position offers comfort to the child. This ergonomic baby carrier offers different seating positions which provide better support for the child. It is made up of cotton/polyester fabric material which makes it easy for cleaning. This brighter element ergonomic baby carrier is a uniquely designed hip seat baby carrier which has everything required for baby and adult comfort. It is a top-quality baby carrier to surprise a mom-to-be or a family member. It has a uniquely designed hip seat baby carrier that has everything you would need for your child. It offers 5 positions based on the baby activity. It features lumbar and back support to reduce tension and pain in the back, hips, and shoulder. It is a quality, ergonomic carrier that offers comfort for adults and is suitable for the children aged from 6 months to toddler age. 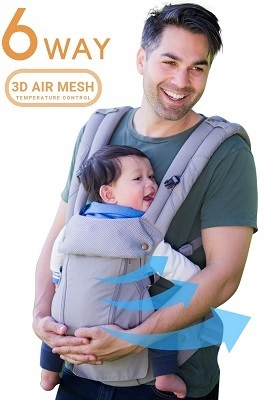 It is a baby carrier that is uniquely designed to offer everything that would one want in a baby carrier. It is a fantastic gift for a mom-to-be or for a family with a child. This premium original baby carrier is ergonomic and possesses many pockets to carry all the essentials. It offers long-wearing comfort for the parents along with cushy shoulder straps and a padded waist belt. 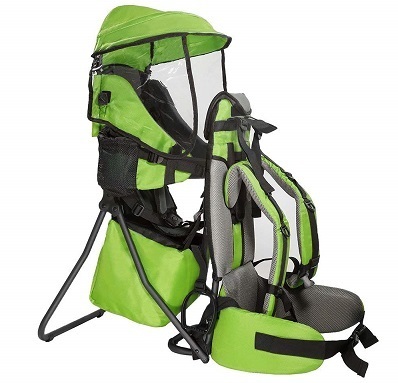 This baby carrier has a wide, deep seat for spread-squat and natural seated positions. 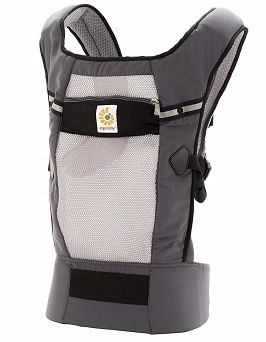 The cushy shoulder straps and padded waist belt distribute baby’s weight evenly between the shoulders and hips. It is designed to fit different wearers from large body types to petite. It is one such carrier that can be used for multiples babies and for multiple years. It is one of the premium quality baby carriers that offers maximum comfort and support for the baby. The roomy pockets provided help you carry all the essentials during hiking. The Phil teds lightweight backpack carrier offers a smart and comfortable way of carrying your child. It comes along with a height-adjustable seat that will support your growing child. It is a compact and lightweight baby carrier that offers an internal aluminum frame for back support. It offers an active-ergo harness system with hip belts and padded shoulders which is easy to wear. For comfort on hot days, it offers molded air-tech ventilation. It can be easily adjusted according to the different bodies and ages. This backpack carrier also contains multiple storage options such as a pocket for keys, drink bottle storage and more. This lightweight backpack carrier offers extra support that reduces the strain on the shoulders and back. Moreover, it also increases airflow, keeping the child and the parent cool and comfortable. Why do we recommend these gifts? The backpack style baby carriers are very safe and comfortable to hike with your baby. These are considered one of the best gifts if you are an outdoor lover and wish to explore nature. These hiking baby carriers can be gifted to anyone with a small child who loves hiking. The backpack carriers ensure safety, style, and comfort to both the child and the parent. It is one of the best ways to provide a new learning experience to your baby while growing up. All you need to do is to choose the best carrier for your child that is safe and convenient for you and your child.